I have been in the nanny industry for many years. When I was younger I never felt out of place or uncomfortable at any conference I attended. As my charges grew into young adults, I was always happy to share photos of them with my nanny friends as we sat around catching up and chatting. When they were young, everyone thought that they were adorable (because aren’t all babies adorable?) but as my charges grew up there were times when people simply did not know what to say to me, or how to respond. It usually made me feel a little awkward. As one of the older nannies when you spend as many years with a family as I have, you lose a lot of the common ground with younger nannies. It isn’t that they are mean or rude, it’s just different. I had been in the hotel lobby and I had decided to walk up to my room and just order room service and nap, when someone walked up to me, was so happy to see me, and asked if I had lunch yet? This was someone I knew but not someone I knew well. We walked across the street and had a wonderful lunch, laughing and talking and discovering how much we had in common. It was the highlight of my trip and it was also the beginning of a wonderful long distance friendship. I was touched by a nanny named Deirdre Bellows . I know she didn’t know how much her gesture or reaching out meant to me, but it meant so much and I thought she should know. I haven’t been able to change my Facebook status, it’s just too hard to see it staring me in the face, but after 3 months short of 31 years, I am officially retired. I spent just 3 months short of 22 years with the same family. I had no idea in 1984 that this career was going to be so fulfilling, so life changing and so much fun. I had not 1 but 2 great families. My first nanny family I stayed with for 8 years and when the children got to be old enough not to need a nanny anymore, I moved on to my next family. Leaving my first family was my inspiration for Nanny Transitions. My nanny training had prepared me for every kind of situation, every kind of emergency, every age group, every social situation but nothing prepared me for leaving a family with 2 kids that owned a piece of my heart and soul. 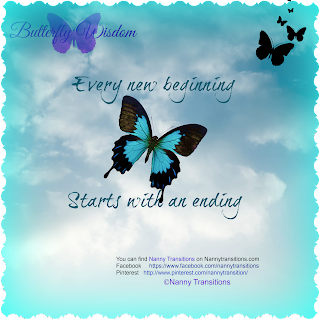 As I went through that very difficult transition I learned so much about myself, about life and about how as nannies we grieve the loss of those children in our lives just as we grieve any kind of death or loss. 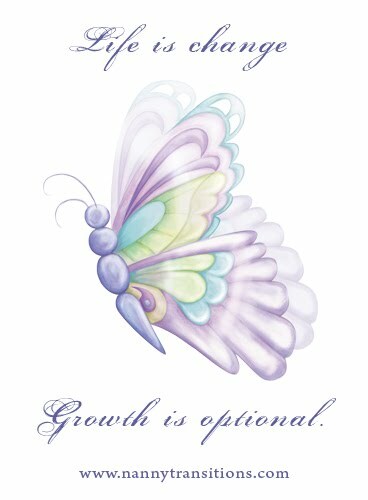 I realized that if this transition was this hard for me, it had to be equally hard for other nannies so I developed a workshop to help nannies know the signs a job is ending, to help the parents prepare the children and support them through the transition and most importantly how to take good care of yourself as you go through this transition. 3 days a week, to not working in the summer, to 2 days a week and finally 1 day a week. When my youngest charge got her drivers license last year it was always understood that it would be my last year with this family but then those years went by way too fast and we discussed that maybe I would do every other week this year. My husband and I are starting a new chapter in our lives and I made the very difficult decision a few weeks ago not to return to work. I think my nanny family was a little shocked but my decision surprised even me. I am very at peace with this decision because about 6 years into this job, my boss made me a promise, she promised me that she would never take her children out of my life. If you are a nanny, you know what an incredible promise that is for an employer to make concerning their children, and I could never thank her enough for this gift. After I had been with this family for about 10 years I realized one day that even though this job would end one day, our relationship was going to last forever. We had been through all kinds of life experiences, good, bad, happy, sad and we always found a way to work through our issues so that everyone felt like they got some of what they wanted. Great nanny /employer relationships are very much like a successful marriage. They require all those key elements, of mutual respect, good communication, willingness to go the extra mile, give and take and the ability to know that you can work through things together. I could not have asked for a better family, and they are my forever family. That will never change. 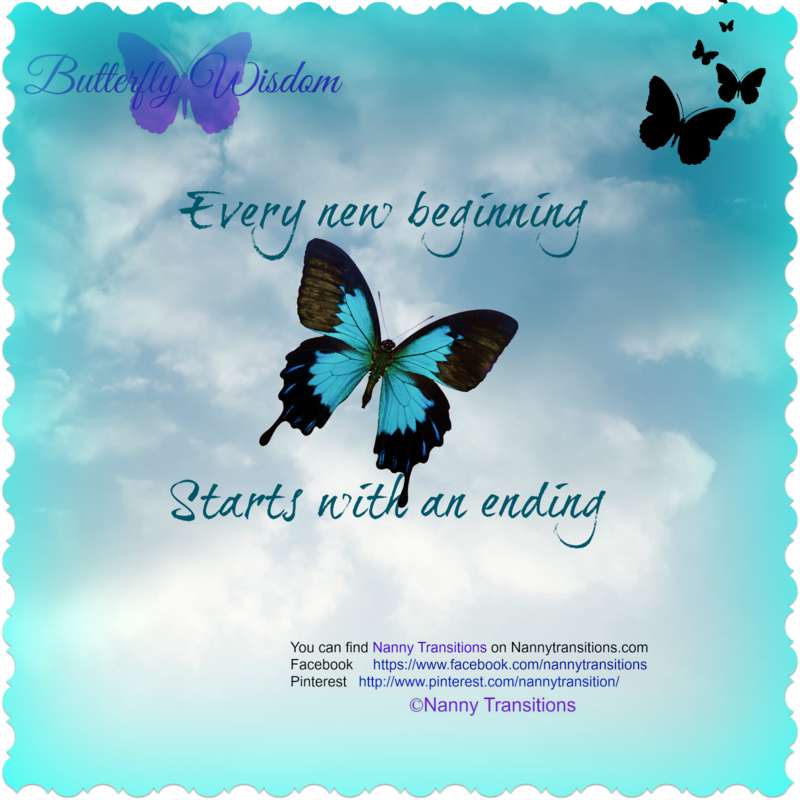 Nanny Transitions helped me prepare for this major change in my life. At one point when I was in a bit of denial, I realized that it was time to take the advice that I give to nannies on a daily basis. Trust your gut, watch for the signs, and most importantly remember that Love looks forward……………….always. One day as I struggled with my decision….it occurred to me that you can’t have a new beginning without an ending. I had to let go of what was to move on to what will be. My heart is open to what comes next. Nanny Transitions will certainly continue to be an important part of my life.